I must admit, I am curious. Just a little. Winter is here, and I really like the idea of having the thermos flask next to me as I step out of the door. It warms me up in chilly temperatures quickly, especially after, before or during my activity outdoors. 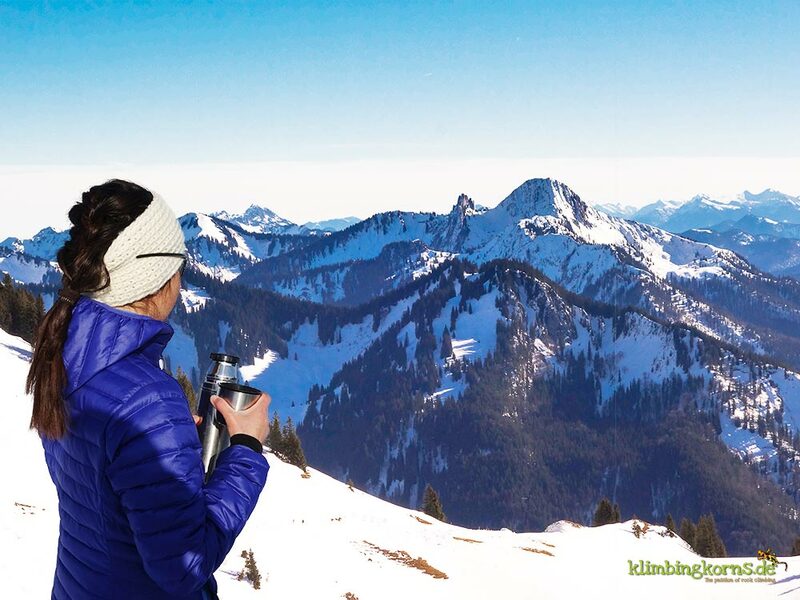 We went out recently on a winterly girls trip and each of us had their own thermos around. Tea was the most common refreshment we would prepare in winter. Some like it chilly hot, some sweet and herby and some with an extra boost of booze. What is your favourite tea? Would you love a simple peppermint, or are you the Chai lover? Do you prefer coffee, or one with a shot of irish thingy in it? (watch those exact words) and get inspired by all the ideas from other fellow outdoor enthuasiasts below. Every now and then I’ll add a recipe, a tip or two, so come back to check. The more who takes part, the merrier – so get your friends to join on in too! Let there be no boundaries in your creativity. Cheers! The coffee is in the thermos, the milk comes extra in a bottle. Coffee is a good thing to bring along for your trips. It wakes you up when you start to feel unmotivated or tired. You might have even seen people bringing along their stove and machine to brew a quick espresso between the climbs. For those of you who prefer to have your coffee with lots of milk in it, you will soon realise that bottling up a thermos of Caffé Latte could make your milk turn sour if you drink it 5 hours later. Why? Keeping any food or beverage below 60°C creates a perfect environment for bacterial growth. If your coffee is hotter than that, fine. But then adding milk to a boiling hot coffee spoils faster when it is warm. The cooler milk is kept, the longer it lasts. Putting it in the thermos for a few hours can make it curdle or turn sour, it changes flavour and separates. Not cool this Latte. 2. 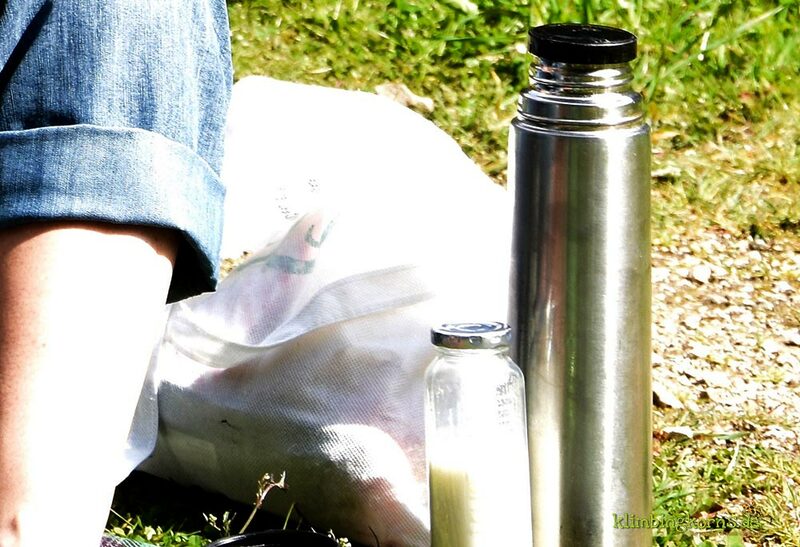 Transport your cream or milk separate in a different bottle. And add it when you need it. The disadvantage would be a cold coffee, if you add too much milk. 3. Drink your Cafe Latte as soon as possible. I guess the easiest way to enjoy a good coffee is to brew it fresh, drink it hot, and add as much milk as you like on the spot. You can warm up up the milk too, or settle for just a coffee with cream.